A visual history of armored vehicles, from the early tanks of World War I to present-day models, created in association with the Smithsonian Institution. Showcasing the most famous military fighting machines, Tank combines comprehensive photographic spreads with in-depth histories of key manufacturers and specially commissioned visual tours of the most iconic examples of their groundbreaking firepower. Study the impact of the tank on the evolution of battlefield and military strategy, from the crude machines that were designed to roll through mud to break up trench warfare to the more sophisticated weapons that have become a symbol of military strength. Following the advancement and design of one of the greatest weapons in modern history, Tank studies more than 400 tanks and military vehicles from all over the world. Look through the history of tanks to see the form and function of a weapon that transformed modern warfare. Learn the different vehicles' weight, size, country of origin, and designer through in-depth profiles and spreads. With two exclusive prints of a 1940 M3A1 (Stuart) and a 1940 StuG III, Tank is a perfect gift for the military history enthusiast. 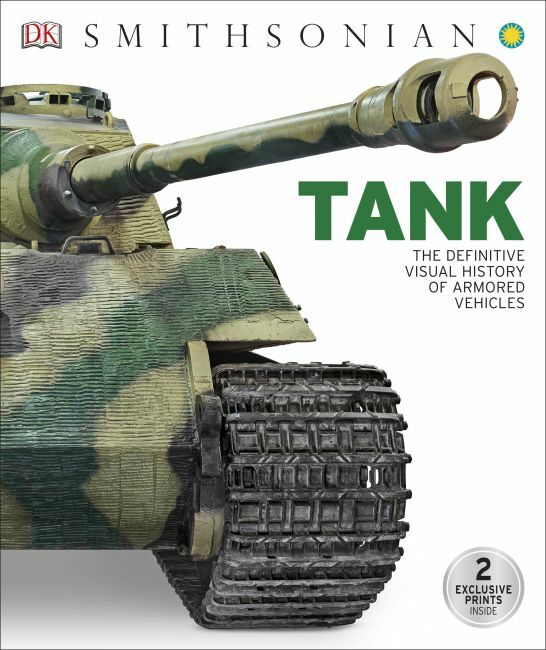 A celebration of the world's iconic military vehicles told with gripping visual detail, Tank is the ultimate guide to the machines that changed the world.